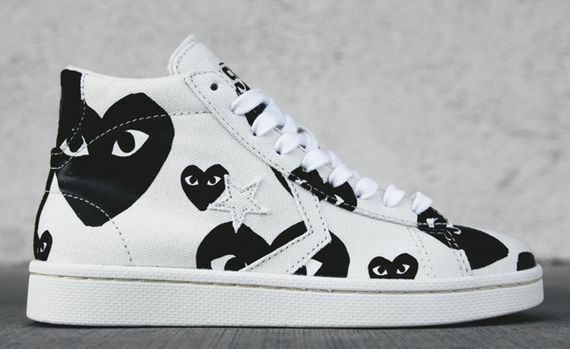 Converse and Comme des Garcons PLAY have been going hard for the past few seasons, and this latest release proves they have zero plans of slowing things up any time soon. 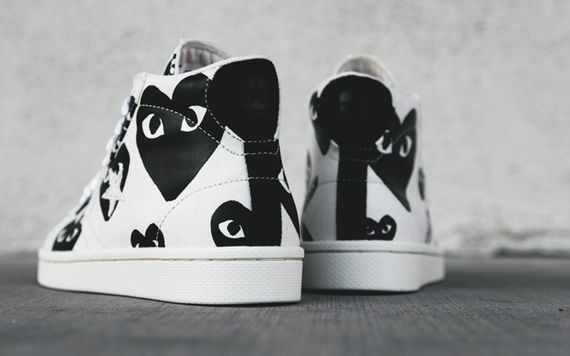 Once again featuring the heart and eyes logo, this edition sees the classic Pro Leather High silhouette get a Comme des Ga-makeover. 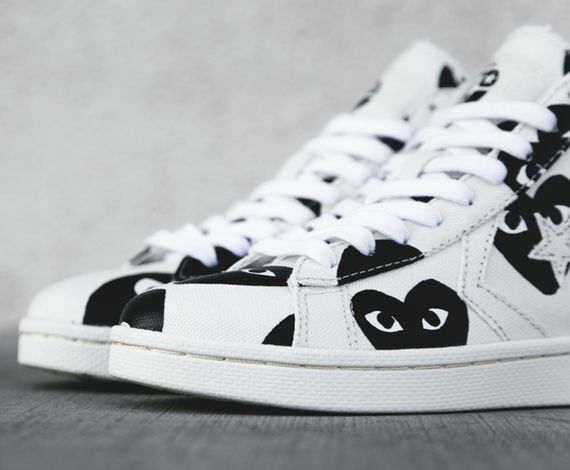 Using only black and white, this simplistic look is refreshing, and the all over print is a little different on every sneaker, giving each pair its own feel. More photos after the jump. 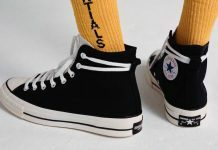 These killer canvas kicks can be copped now via Feature and End, and you really can’t go wrong with these.